Jason, Earl of Coventry, needs to discreetly locate his unwanted and abandoned bride among London society to request an annulment. Too bad he can't remember what she looks like because he was blind drunk at his arranged wedding and hasn't see her since. Newly arrived from the country for the Season, Lady Olivia is appalled to discover that her own husband Lord Coventry doesn't even recognize her. She's not about to tell the arrogant arse she his wife. Instead, she flirts with him by night and has her modiste send her mounting bills to him by day. Hell hath no fury like a woman scorned, except Lady Olivia finds her husband nearly irresistible. 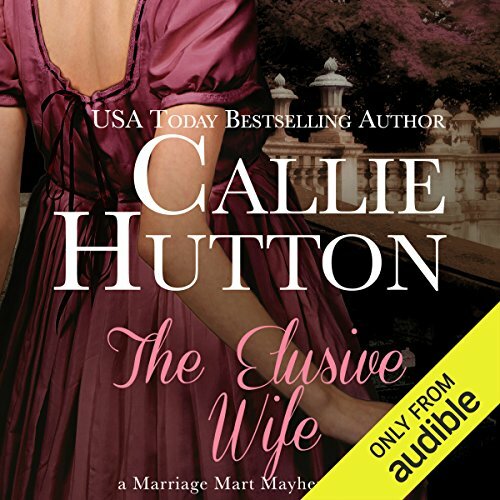 ©2013 Callie Hutton (P)2014 Audible Inc.
Jason, Earl of Coventry, needs to discreetly locate his unwanted and abandoned bride among London society to request an annulment. Too bad he can't remember what she looks like because he was blind drunk at his arranged wedding and hasn't see her since. Newly arrived from the country for the Season, Lady Olivia is appalled to discover that her own husband Lord Coventry doesn't even recognize her. She's not about to tell the arrogant arse she his wife. It had me at "Elusive"